Communicators in the 21st century enjoy resources never imagined by previous generations. Who will harness this power? Those who are skilled at their craft. Regent University’s School of Communication & the Arts trains media and entertainment professionals to the highest standards of the profession and from a Christian worldview. With an emphasis on knowledge and faith — together — our students are taught by expert faculty in state-of-the-art facilities. You believe that redemptive, positive-value stories are worth telling. At Regent University’s School of Communication & the Arts (SCA), we will teach you to craft your stories in ways that are both compelling and meaningful. Here, you’ll learn how to develop your voice, perfect your God-given talent, engage your audience, and leave a lasting impression — all in a faith-based environment that helps you align your artistic vision with your calling. As a Regent student, you’ll have at your disposal state-of-the-art facilities, numerous opportunities to practice your craft, and an accomplished faculty of mentors who are published scholars, playwrights and media professionals. These resources have led to 448 prestigious awards in film at the regional, national and international levels, as well as multiple awards for journalism publications, theatre performances, music videos and television programs. We are proud of our successful Regent University alumni and their accomplishments. Regent alums work in the television and film industry including local and national commercials, television sitcoms, episodic dramas, independent films and major studio films. They also work for local and national news networks, off-Broadway productions, regional theatres, and elite universities. Our alumni serve as directors, producers, scriptwriters, animators, news anchors, talk show hosts, actors, journalists, researchers, writers, editors and professors. Additionally, many of our graduates have started thriving businesses or have successful careers as freelancers. It was a cool, crisp day in 2008. Regent University’s School of Communication and the Arts (SCA) alumnus Charles Martin 00’ was hiking up Mount Mitchell in North Carolina with a friend. Roughly two to three miles out from civilization, they reached an exposed slope and came under an intense barrage of snow, ice, and winds gusting up to 60 and 70 mph. Martin didn’t realize it in the moment, but that storm of nearly ten years ago would spark the story behind the feature film, The Mountain Between Us. 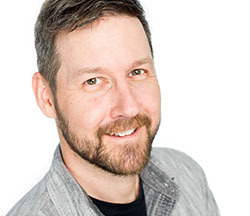 “I wanted to be the ‘Doogie Howser’ of the entertainment world,” said Regent University alumnus, David Acuff ’02 (School of Communication & the Arts). That is to say, he was called into the entertainment industry at the age of nine; he thought he’d go to Hollywood at the age of 12, and maybe run a television studio by the time he was 14. A child prodigy. A screenwriter, M.D. Sometimes you get lucky. And sometimes you get all the guidance, support that you could ever need. Ashley Dakin, a 2013 graduate from Regent University’s School of Communication & the Arts (SCA), will tell you her story involves both. 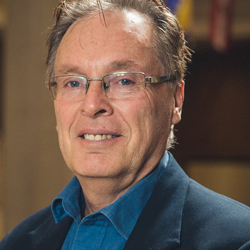 Freeman joined SCA faculty during Fall semester 2016 — his second lap as a Regent professor, having first worked for the school in the early ’00s. But his journey to the school — and even Christianity itself — started much earlier. He was raised by a single mother in the heart of Chicago. Having the power to manifest random objects into existence is incredible. But giving that power to someone with a lackluster imagination is, well, pointless. 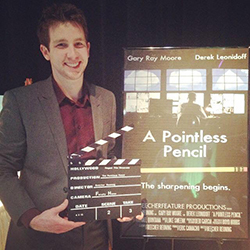 This is the plot for Regent University School of Communication & the Arts (SCA) alumnus Beecher Reuning’s ’15 short comedic film, A Pointless Pencil. 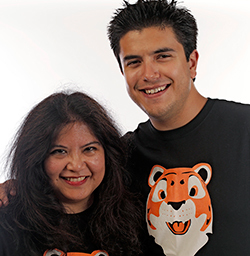 On May 25, 2016, Regent University School of Communication & the Arts (SCA) alumna Raquel Sangalang ’15 and College of Arts & Sciences (CAS) alumnus Justin Garcia ’14 accepted first place in the category of comedy for their film, Terrance. The annual College Television Awards mirror the Emmys® selection process and were judged by active Television Academy members. 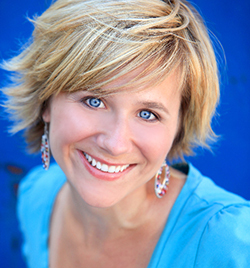 “Where’s your bedroom?” A ten-year-old boy asks Regent University School of Communication & the Arts alumna Jill Szoo Wilson ’06. She’s pushing her cart through Price Chopper, a grocery store chain in Kansas City, Missouri, and locks eyes with the young boy’s father. “He thinks you live here,” he explains. And it’s understandable; her image has appeared in television commercials, print advertisements, and even on the sides of semi-trucks as the grocery store’s official spokesperson. What is the GPA requirement for entrance into the school? We require a minimum 3.0 GPA from an accredited university. The School of Communication & the Arts will make acceptance decisions based on the totality of the student’s application file. We look at GPA, standardized test scores, the writing sample, references and the personal goals statement when considering someone for admission. If any one of these items is not strong the other pieces may help strengthen that applicant’s file. Are there scholarships available to help me finance my education? Yes, the School of Communication & the Arts has merit scholarships which are competitive and based on a student’s undergraduate GPA. See the Financial Aid section of our website for full details. We award financial aid monies on a first come, first served basis, so apply as early as possible for best chances at aid money. If I am accepted into the school, do I have the option of delaying my enrollment if my plans have to change? Yes, upon acceptance you have up to one academic year to enroll. If you do not matriculate within one academic year, a new application will be required. I sent my transcripts to the school, yet I'm receiving notice that Regent is still waiting on my “degree-posted transcript.” What is this? Oftentimes applicants will send us transcripts while in their senior year of school. The transcript is missing a final class or two, and thus the actually earned degree (B.A., B.S., etc.) is not posted on the transcript. Regent needs the final transcript where the degree earned has been clearly posted. Until we receive that final transcript, your admissions file is still incomplete. What is the difference between an M.A. and an MFA? Which degree should I pursue? An MFA is a talent-based terminal degree. This represents the highest academic degree one could earn in the performing arts field (there is no Ph.D. in Acting, Directing, etc.). An MFA not only credentials you in your field, but it is also a requirement to teach performing arts at the university level. An M.A., on the other hand, is a graduate degree which will still fully immerse you in your field and prepare you for your career, but since it requires fewer hours, it is not considered a terminal degree. Your future career aspirations should determine whether you pursue an M.A. or an MFA. If you have any doubt as to the best option for you, we would be glad to discuss this with you. How long will it take to receive an admissions decision from the time I submit all of my application materials? Our admissions office aims to have a decision made on your file within five business days from the time it is completed. All MFA and Ph.D. files are reviewed at one time annually by degree. Am I required to go full time or can I study at my own pace? Students are encouraged to go at the pace they are comfortable with. Many students hold full-time jobs and have families, taking only one or two classes per semester as time allows. What is a typical student like in the School of Communication & the Arts? We don’t have a “typical” student. We are a community of artists and professionals-in-training who, though varied in our passions and interests, are united in a common desire to see the light of Christ shine through our creative works. Our student population is about equally split between males and females. Our average student is aged 34, though we have students in the program from age 20 to 60. We have an ethnically diverse student body as well: Caucasian, 67 percent; African-American, 17 percent; Hispanic, 4 percent; Other, 12 percent. Am I required to buy a camera or other equipment? No, some students buy their own, but Regent University’s FTV Equipment Office stocks cameras and other equipment needed for FTV class assignments. Am I required to buy a computer or software for editing? Regent University strongly recommends that FTV students purchase their own system for editing class projects. FTV courses require students to shoot and edit their own class projects. Does Regent University provide computers or software for editing? Regent University recommends that you purchase your own system for editing class projects. For general coursework, there are several computer labs on campus, but there are no general editing labs. Can I use the computer I already own? An older computer might run new editing software, but performance will be slow and possibly unstable. If your system is more than three years old or does not meet minimum software requirements, you should consider a new computer system. Is there an advantage to buying a new system? Buying a new system gets you a warranty from the manufacturer. 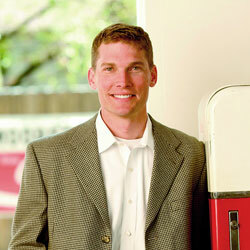 Manufacturer warranties are typically one year, but most offer an extended three-year-warranty for an additional cost. A newer system is faster and more stable, which can make you more productive with less waiting and frustration. What are the recommended desktop and laptop configurations? Because requirements are so complex and varied, we strongly advise that you follow your software’s recommended — not the minimum — configuration for whichever system you choose. PC (Windows XP) or Mac (OS X)? While laptops offer portability, properly configured systems are costly and offer limited upgrade capability. In general, properly configured desktops are less costly than laptops and are easier to upgrade. What editing software do I need? Depending on your editing needs, there are several good choices. Your system must be able to input, edit and output HD video in various formats. It must also be able to create titles and layer several tracks of audio (dialogue, sound effects and music). Depending on your needs, this can be as basic as the free software that often comes bundled with computers or as elaborate as the professional systems on the market. Do I need a DVD burner for my computer? Regent recommends that you have a DVD burner for completing assignments and for data backups, but it’s not required. External, name-brand USB DVD burners can be purchased for under $30. Do I need an external hard drive? Yes, the faster and higher the capacity the better. USB 3 for PCs and Thunderbolt or USB 3 for Macs. Does Regent University provide support for my computer and/or software? No, computer or editing software problems should be handled by the manufacturer or dealer. Regent University recommends that you buy an extended service agreement with help-desk support if you’re not comfortable troubleshooting on your own.